How would you like to be on vacation in Australia and you're just chillin' on a beach and then all of a sudden you see something terrifying *insert JAWS soundtrack here* but its not a shark! 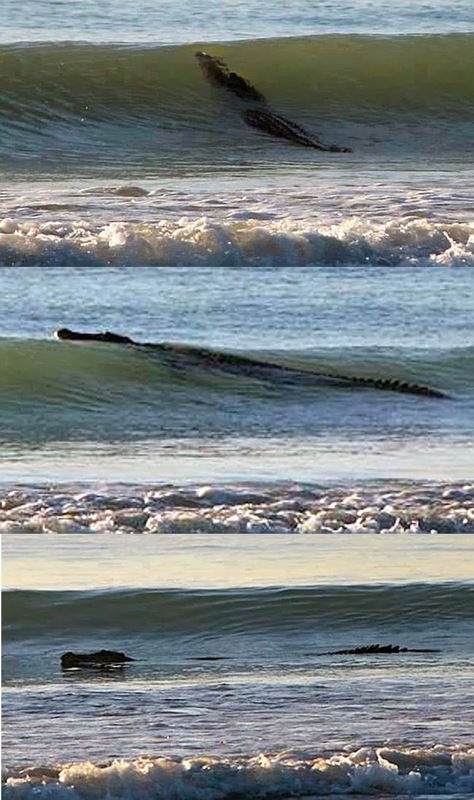 Its a 12-ft (3.657m) crocodile! That's what happened on Cable Beach in Western Australia!